As a public school parent, I am getting heaps of various messages from my child’s school – permission slips, completed classwork, newsletters, home and school club emails, etc. But how are we supposed to communicate something back to school? This is the topic for this month blog hop of Bloggers for Public Education. I have a healthy respect for the teachers in my daughter’s public school. Every year they are taking on a very difficult task on taking 25 or more students from various backgrounds and taking them through one year of school curriculum. They have a very measurable goal to make sure that most of their students will meet grade expectations at the end of the school year. They also have to maintain reasonable discipline in large classrooms where kids who are designed to move are made to sit for stretches of 90 minutes at a time. At the same time these teachers are expected to meet unique needs of special education students who in our school do not have any aids assigned to them. As a parent, I understandably care most passionately about educational and emotional needs of my child and want to see these needs met in school. I approach every new school year with a mixture of hope and anxiety – hoping that my daughter will thrive with her next teacher, anxious that she will not be challenged enough, since she functions well above the grade level. So how do I communicate all these hopes and anxieties to my child’s teacher? My daughter was introduced to THINK communication while still in kindergarten, and I believe that it’s important for us to demo the same principles in our daily communications at home and apply them while crafting our email and face to face communications with our children’s teachers. It seems obvious, but I am sure many of us were caught up in gossip and hearsay going on among parents on certain topics. We are also likely to react to something that our child tells us at home. It does help to validate certain facts with the teacher if you are not clear about certain policies. Good examples include expectations around total time spent on homework or incomplete work. It might also be good to obtain teacher’s point of view on your child’s role in any sort of conflicts that happened during a school day if these conflicts interfere with your child’s emotional well being or academic success. We know our kids better than anyone else, and we know what is going on in their lives outside of school. I really appreciated a request for parental “homework” that we received from our 4th grade teacher in the beginning of a school year. It gave us a chance to introduce our daughter to her new teacher and highlight her areas of strength and weaknesses. I also think that it’s important to let the school know of any changes happening in the family life throughout a school year – an illness or death in the family, a new sibling, a divorce, or an upcoming move. 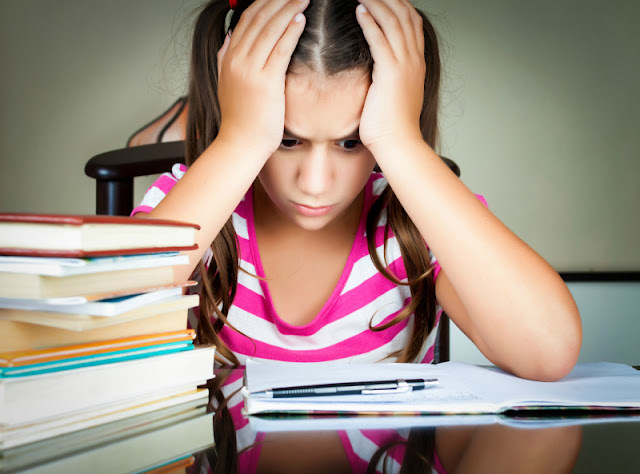 All these things can really impact kids’ performance or behavior, and the teachers will be more equipped to deal with these challenges sensitively if they know what’s going on. Interestingly, I believe, my daughter’s version of THINK had “I for Important”, but I think most teachers will appreciate inspiring news about your child o,r perhaps, information related to what kids are covering in school. In the past, I shared some interesting printables and thinking challenges with our teachers that I thought might be of interest and of use to them. Necessary information is probably up there with “helpful”, but can be even more critical as, for example, a newly discovered allergy or a new medication. It is critical to share such information with school ASAP, or your child might be denied medication if his or her school is not aware of the need. It’s crucially important to conduct even charged meetings with your teacher in a kind and constructive manner. This part is probably most difficult for me and for my husband, since we both have judgmental tendencies. This is why we usually prepare in advance and role play difficult conversations. We all make mistakes, and teachers are not superhuman. We always try to give them benefit of the doubt and explore options with them before involving school administration as we had to do when our daughter was in the second grade and bored to the point of biting herself. 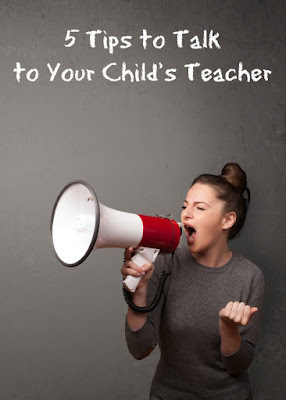 If you are a teacher, what would you like parents to do while communicating to you? If you are a parent, what are some of the most difficult things that you had to discuss with school about your child? I love your tip of using a THINK approach to communicating with teachers. I have some very funny stories of miscommunication from my teaching days. It can be quite a challenge to communicate effectively even in the best of circumstances. My little "teaching" stint a couple of years ago left me surprised at how many parents will not answer emails. I sent out regular progress reports, and asked for feedback from parents...and got nothing. The principal told me that was pretty normal - but to be happy no one had any complaints. It was frustrating. Such a great tip! The THINK method is a great approach for talking with teachers. I'll definitely be keeping that in mind whenever I need to communicated with my daughters' teachers.